Constellation Audio is pleased to announce the debut of their new Inspiration Series preamplifier and amplifiers at the High End Show in Munich Germany. Derived from their Reference and Performance Series components, the Inspiration Series components include the AMP 1.0, MONO 1.0, and PREAMP 1.0 ($10,000, $20,000 per pair and $9000 respectively). The amplifier and preamplifier are the first of the Inspiration Series components to be released, with an integrated amplifier, phono preamplifier, DAC, and media player to follow later this year. Murali Murugasu, CEO of Constellation Audio, states that the Inspiration Series "are landmark components that offer a unique value proposition to the high end audio customer. Their ability to deliver such high performance at a relatively modest price is unmatched in our industry." The company does everything in-house and utilize many of the same circuit topologies found in their more sophisticated designs. Inspiration power amplifiers are available in both stereo and monaural configurations and are designated AMP 1.0 and MONO 1.0, while the preamplifier is called PREAMP 1.0. The heart of the amplifiers' design is Constellation Audio's unique Balanced Bridged circuit topology, which combines multiple single-ended amplifier modules in a fully balanced design. To ensure a perfectly balanced signal, the AMP 1.0 and MONO 1.0 also incorporate the servo circuits in our Line Stage Gain Module to make certain that both halves of an incoming signal are perfectly balanced, no matter what the source. With AMP 1.0 delivering a conservatively rated 200 wpc into 8 Ohms (400 wpc into 4 Ohms) and MONO 1.0 delivering twice that into 8 and 4 Ohm loads respectively per chassis. Technologically, PREAMP 1.0 uses the same Line Stage Gain Module design in a fully balanced configuration as does its more costly siblings. Features include a home theater bypass, remote turn-on/turn-off capability, and a machined-aluminum remote control. PREAMP 1.0 is equally suited to be the centerpiece of a great music system or as an integral part of a multi-channel home entertainment system. The David Berning Company will be debuting their 211/ 845 OTL amplifier ($73,000 per monoblock pair) at the High End 2014 show in Munich. 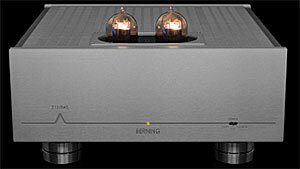 The amplifier will automatically bias to 211 or 845 output tubes. No user adjustment is ever required. This output transformer less (OTL) design produces 60 watts per channel in Class A triode mode. The unit is differentially balanced, has zero global feedback and employs proprietary advanced switch mode power supplies with full Power Factor Correction for global plug and play operation. The new 211 / 845 OTL amplifier has constant output impedance over the entire audio spectrum utilizing the patented Berning ZOTL circuit. The amplifier can drive difficult dynamic loads within its power rating while the inherently low noise floor accommodates high efficiency loudspeakers. Stillpoints Ultra 5's, Ultra Bases and circuit board isolators are integrated for vibration control. Stillpoints cryogenic treatment is selectively utilized throughout the amplifier. Additionally, Stillpoints Aperture Room Treatments and Fono Acustica cables will be fully implemented during their Munich demonstration. 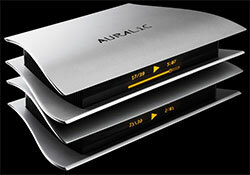 AURALiC will soon debuts the company Aries series, which is the first product in the Lightning family, at the Munich High End 2014 show. The Aries LE is the standard model with low-phase noise crystal and standard external PSU whilst the Aries model step-up model includes two individual Femto Clocks for both USB audio host and digital outputs, low noise internal design to eliminate jitter and AURALiC Purer-Power based 10uV low noise external linear PSU ($999 and $1599 respectively). The Aries serves as a 'bridge' between music files on network storage or high quality online streaming services and the consumers' DAC -- enabling DACs for the first time to stream high-resolution music quickly and wirelessly in virtually any sampling rate, including DSD, Double-Rate DSD and DXD. Aries is powered by AURALiC's proprietary Telsa hardware platform that includes a Quad-Core ARM Coretex-A9 processor running at 1GHz, 1GB DDR3 onboard memory and 4GB internal storage. The Telsa platform has a calculation ability of 25,000 MIPS, more than enough to decode a vast spectrum of audio formats, including AAC, AIFF, ALAC, APE, DIFF, DSF, FLAC, MP3, OGG, WAV, WV and WMA. Inputs include dual-band high-speed Wi-Fi, Gigabit Ethernet and USB 2.0 port. The outputs are USB audio host buffered by AURALiC's patented ActiveUSB technology; low jitter digital audio outputs: AES/EBU, Coaxial and TosLink. The USB audio host can deliver PCM from 44.1 to 384 KHz at 16-, 24- and 32-bit resolutions as well as DSD, Double-Rate DSD for compatible USB DAC. The other digital outputs are limited to 192 KHz at 24-bit in maximum according to S/PDIF standard. Aries is bundled with AURALiC's Lightning DS App. The App has the capability to fully control Aries to browse your music libraries on your network-attached storage (NAS), to steam high quality music content from service providers like Qobuz and WiMP, to control the playback and to select the hardware settings such as output channel and Wi-Fi network, etc. The App also supports Songcast, a music distribution service that allows users to map computer's sound to any Lightning-equipped system and to map sound between different Lightning systems in the house and streaming sound though Apple AirPlay. This year Audionet will be at the Munich High End 2014 event showcasing their range of products for both professional and public audiences. Audionet will celebrate the world premiere of their new integrated network stereo amplifier Audionet DNA I (�6990), which is an audiophile-grade 220 Watt into 4 Ohm amplifier. Multiple connection options provide playback of analog, digital or network based music including USB data, Internet Radio or UPnP media servers. The Audionet Apps (aMM for Android, iMM for iOS and RCP for JAVA) enable a sophisticated control of the DNA I by tablets and computers and provide features like play list control, media search and gapless playback. Furthermore Audionet is going to present another novelty at the High End Show: a new full metal Audionet remote control will be available very soon. The suggested retail prices will be �295 for the RC 1 and �345 for the RC 2. The High End Society has made available their High End 2014 Munich show app for all iOS and Android smartphones. Beside all relevant show facts, you will be able to find any brand exhibiting at the show and many other little services around the High End 2014 show in Munich. Just use your QR scanner on your smart phone to enter the app store and to download this useful application. Also now available is their special High End Reference book (�12 plus shipping) and will be delivered shortly after the Munich event. This book has over 530 pages and provides perhaps the best overview about all relevant manufacturers and distributors involved in the High End 2014 Munich show business. The book will also be available at the event or you can order it online at this link. EMMEspeakers will be proudly presenting their new Galileo loudspeaker (�14,990 on up depending on finish). The Galileo began by targeting the same and fulfilling listening experience of the company's Da Vinci yet in a larger format to fill the widest range of listening rooms. With the goal of having a multi-way loudspeaker with a center of emission very close over the whole frequency range, they feel EMMESpeakers has reached their goal with the Galileo. With seven drivers on the larger cabinet, the need to maintain relatively lightweight has represented them a new challenge against stationary waves and resonances. With a uniquely-shaped cabinet, mass variation and absorbing material with high damping, the decoupling of the sensitive ceramic midwoofers and tweeter drivers has been obtained via an aluminum front panel. The exterior shape, functional to the design requirements, combines modern taste with gorgeous finishes. Driver compliment includes four10" woofers, two 5" Accuton CELL ceramic midwoofer, and one 1.2" Accuton CELL ceramic tweeter. Sensitivity is 86dB/W/m and it presents a 6 Ohm load. Also new from EMMEspeakers to be shown in Munich are the new look for EMMESpeakers products: combining the black matte back panel with luxury given by the gold leaf finish. 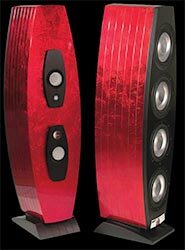 Read Enjoy the Music.com's full review of EMMESpeaker's Da Vinci speaker at this link. HDtracks will be exhibiting at the upcoming Munich Show and David Chesky will be on-hand to discuss the launch of HDtracks.com in UK and Germany, various upcoming releases and the current state and future of high resolution audio plus new hardware offerings. 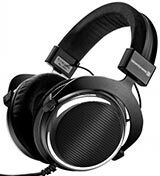 Premiering at the High End audio show in Munich will be Beyerdynamic GmbH with their Anniversary edition of the T 90 Jubilee headphone ($699). This open-back design celebrates the company's 90th anniversary and is limited to only 1000 units. The Jubilee builds on the same exclusive Tesla technology. The premium quality of the T 90 Jubilee is accentuated by its particularly elegant design: The majority of components are in black, including the acoustically transparent Swiss tulle covering the back of the ear cups, the silky-soft ear pads and solid anodized aluminum yokes. This is starkly contrasted by the two polished chrome-plated surrounding the ear cups. The limited edition high-end headphones are supplied with an elegant, fabric covered hard case for storage and transport purposes. Beyerdynamic says that "the T 90 combines the neutral and analytical sound of the Tesla transducer with spatial and dynamic balance, creating a unique auditory experience. This is best demonstrated using binaural sound recordings, which use two spatially aligned microphones, instead of the traditional multi-channel mix. To make a binaural recording, two microphone capsules for the right and left channels are embedded in the ears of an artificial head, known as a dummy head, or Kunstkopf. These emulate the transmission-characteristics of a real human head." To give customers the chance to experience this amazing effect directly for themselves, Beyerdynamic includes an audio CD from Chesky Records with every T 90 Jubilee purchased. 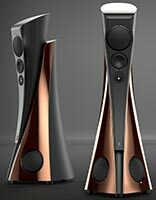 Estelon will be at the Munich High End show with launching its new flagship loudspeaker model Extreme (�170,000). The proprietary marble-based composite material is mated with the finest aesthetic finish the company can provide. This presents the familiar sculpture-like design that Estelon has trademarked over the years. The most noticeable change from their other designs in Exteme model is that it is built of two modules. The upper module allows the speaker to be adjustable by user for optimizing the sound in regard of room specifics (speaker height is changeable from 177 to 207 cm). The two module design also isolates the high, medium and mid-bass drivers from the vibration that the lower positioned bass drivers provide. Symmetrically arranged bass drivers work in equal conditions, which results in outstanding bass performance. To achieve the maximum performance, the listener can also adjust the tweeter to his listening position. The design features Estelon's best components available, including using two of their new 10" aluminum woofers a 10" midwoofer, a special 7" ceramic midrange and 1.5" diamond tweeter. All drivers are custom produced by Accuton. Furutech's ADL (Alpha Design Labs) will be unveiling new products at the High End 2014, including the Stratos, A1 portable DAC/AMP, H128 headphones and EH008 earphones and the highest spec iDock and Lightning cables available on the market. The ADL Stratos handles DSD and 24-bit/192kHz files plus has a headphone amplifier and MM/MC phonostage. The Stratos is built for enthusiasts with growing music collections on their computer hard drives yet desire a phonostage too. If you are looking to convert your LPs or other analog sources to digital then the Stratos will enable this ability. The unit features a low-latency USB 2.0 audio driver that plays and records at 192 kHz and includes a built-in low-noise MM/MC phono preamplifier. The Stratos features L/R analog outputs, and switchable line or phono inputs. ADL's new A1 DSD (2.8M/5.6M) DAC is small, discrete but highly specified with inputs supporting digital signal at up to via OTG Cable Android devices. The A1 also runs DSD (2.8M/5.6M) and 24-bit/192kHz S/PDIF with high-resolution files from PC/MAC via its TosLink and USB input. There's an analog line-level 3.5mm input and two 3.5mm output for Line out and headphone out headphones in the 12 to 600 Ohm range. The 3.5mm four-pin input supports 3.5mm Remote and Mic Earphones. The 3.5mm TosLink optical output delivers USB and Digital Device source signal up to 24-bit/192kHz files. 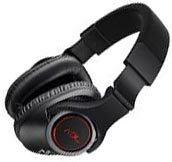 ADL will be showing their H128 headphones that feature Alpha Triform earcups. These units have With high noise attenuation and 40mm high-resolution extra-large high-flux α (Alpha Cryo treated) magnet drivers incorporating a special trembler film. Including a ring engineered to keep ultra-high frequencies in coherent phase and excellent transient response from extremely light-weight coils made with copper-coated special aluminum alloy wire. Sensitivity is 98dB SPL (1mW) at 1 kHz, a frequency response from 20Hz to 20kHz and rated impedance of 68 Ohm @ 1KHz. Another headpone is ADL's EH008 with dual dynamic drivers. The dual dynamic drivers together produce full range sound. An α (Alpha Cryo treated) 8mm driver for mid-to-low frequencies and α (Alpha Cryo treated) 5.8mm driver for high frequencies are used. The 5.8mm driver has Titanium Trembler Film for high resolution sound reproduction. The inner housing is constructed of special ABS resin for driver stabilization. ADL's EH008's outer housing is constructed of carbon fiber for its superior damping properties. Rubber outer seal ring enables improved sound isolation and added comfort.